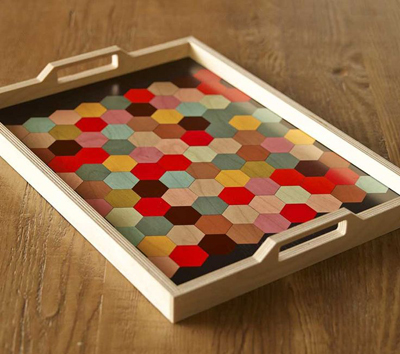 Handmade in Los Angeles, this vibrant FSC-certified wood Honeycomb Tray brings the bright hues of sunny California to any of your favorite dining areas. $89. Buy here.